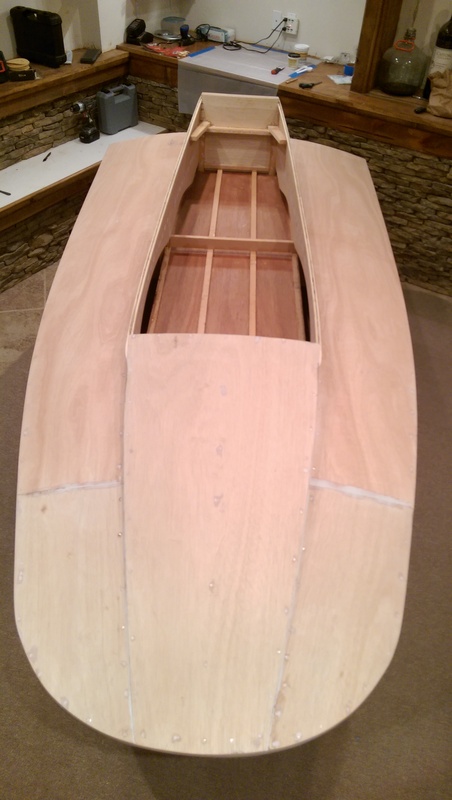 OK, I confess… I took an extended hiatus from boatbuilding during the winter. The reason (excuse?) for this is that I was fairly near to the point where I would be painting again, which needs to be done outside. And, since it was theoretically going to rain during the winter, I decided to wait until Spring. So, now Spring is here, and I am back at it. At this point, there are really only a few assembly steps left. Add some pre-paint trim, some post-pain trim, and a floor. Then, once I find a motor, add the appropriate throttle and steering. The pre-paint trim is easy, just some moulding around the cockpit. I was able to knock this out in an afternoon. The next step was not so easy. The decks are attached with boat nails, probably a couple hundred of them. 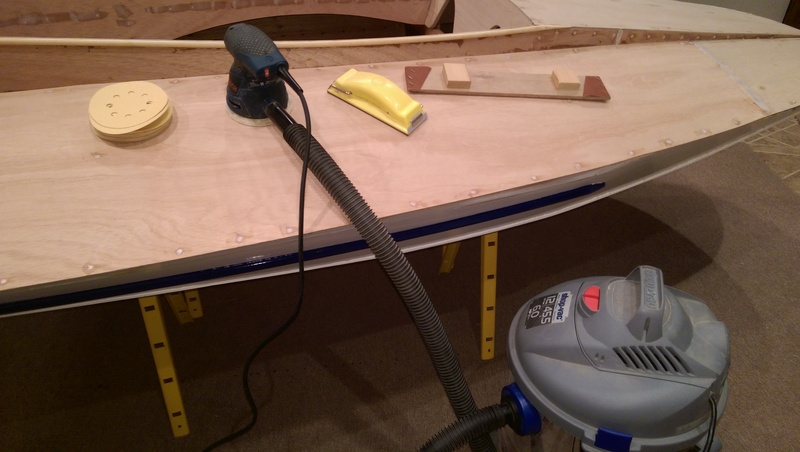 Each one needs to be countersunk into the deck, which is only 1/8 inch thick. This looked like it was going to be extremely tedious, so I build myself a little fixture to ease the process. It was STILL tedious, though, and if I was a patient man I could have done a better job. I think the job I did was adequate, though, and I managed to preserve my sanity. 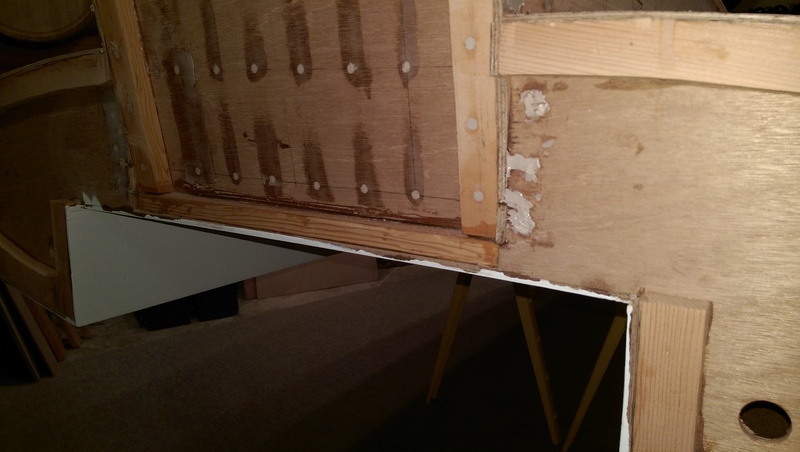 Once the nails were countersunk, hull assembly was essentially complete. 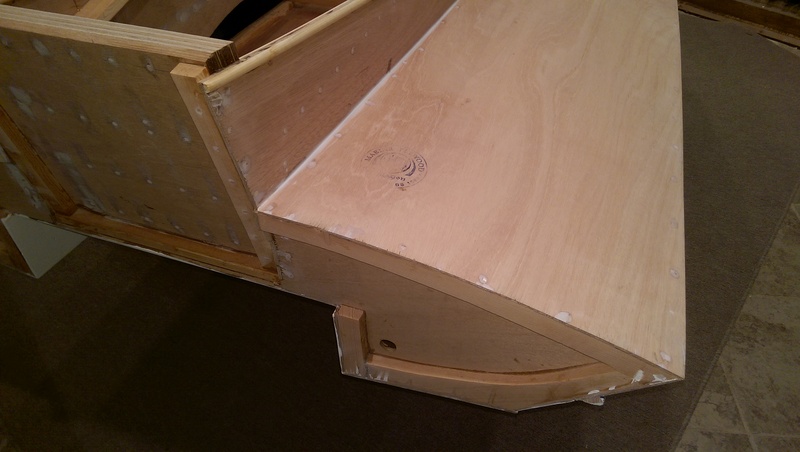 Now comes the final fairing prior to painting. 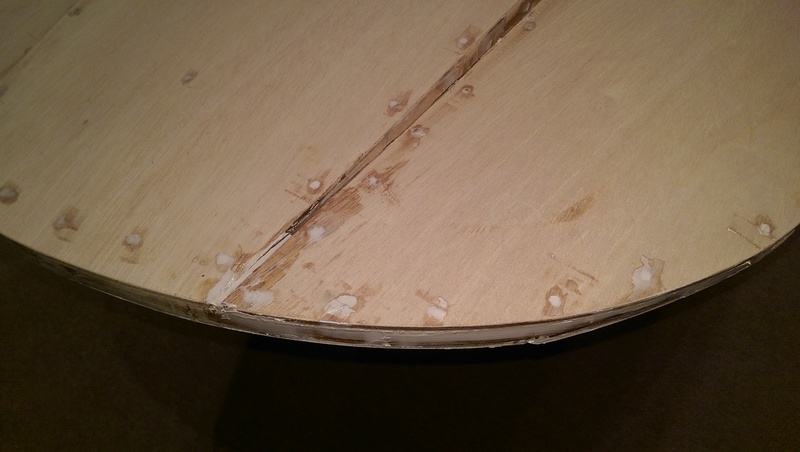 This means sanding, filling all the countersunk holes, sanding again, repairing defects, and sanding again. 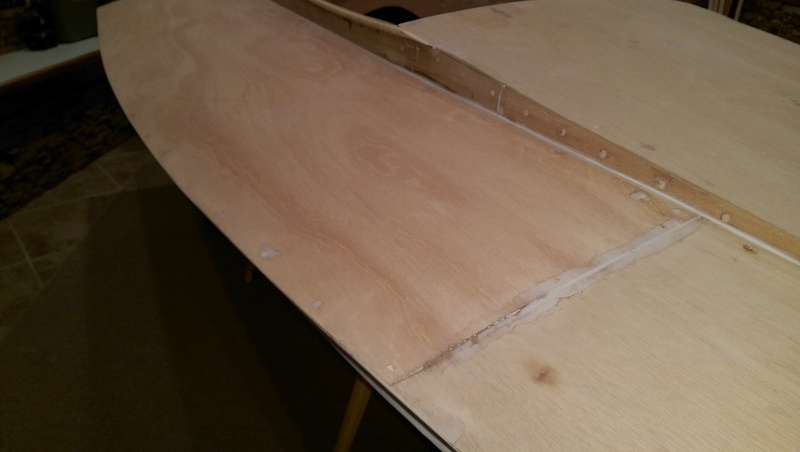 Having already faired the bottom of the hull, I had a much better idea about how to tackle the topside. Lots of stuff to work on, though. Good think I have plenty of fairing compound! I felt like I did an OK job with the fairing, but certainly not perfect. We will call it workmanship rather than craftsmanship, and hope that the paint obscures the flaws, rather than accentuating them! So, at this point, she is all faired and ready for paint, Which, weather willing, I will probably start applying next week. 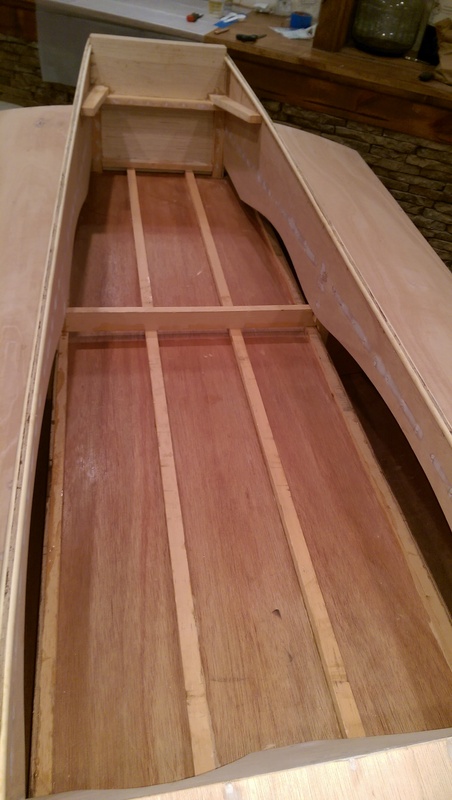 This entry was posted in Boats on April 28, 2015 by John Beekley.